Vila Botani is a place to slow down, relax and be in nature. This is a nature park, extending over 5ha on the slopes of Mt Salak, showing local nature in its manifold variety. There is also a fantastic view of the city of Bogor, with thousands of lights spread out at night. The private nature park was established in 2005 on 5ha of land bordering the Halimun-Salak National Park, at an average altitude of 700 masl just above kampong Tajurhalang. The Park is only 14km from the Bogor bus termi­nal. 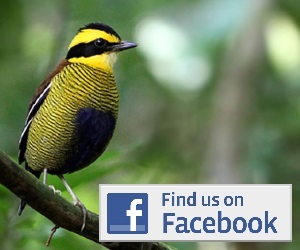 Since Vila Botani was establish­ed, more birds have begun to visit, although there are few tall trees as yet for nests. Eagles often soar above Vila Botani and its environs in search of mice and other prey. These include the Javan Eagle, Snake Eagle and Black Eagle. Snakes are rarely seen by visitors but sometimes seen by workers clearing land for trees. Many visitors come to Vila Botani for the view. The local name for this place is “Awas paninggal”, which roughly translates “Wow, quite a view”. Looking down from the average elevation of about 700 masl, visitors have a broad view (of about 150 degrees) from the city of Bogor with its Botanical Gardens on the left, to the Puncak pass and the Tapos area above Ciawi on the right, with Mt. Pangrango above Tapos. On a clear day, the towers of the cement factory in Cibinong can be seen. At the lower and upper edges of the property, , one can also observe two summits of nearby Mt. Salak, a high one in the distance and a low one in the foreground, separated by a ravine called Legok Kondang. The ravine is sometimes marked by a sheet of white whispy clouds veiling the further summit. Nights at Vila Botani are dark, with little lighting, so bring a flashlight if you want to walk around at night. Temp­eratures go down to about 20 and sometimes a bit below at night. Daytime tem­peratures are normally below 30, so the area is distinctly cooler than nearby Bogor City. Rain is extreme­ly heavy dur­ing the rainy season and rare at the height of the dry sea­son, when the Cimuncang creek dries up for a few months. Fierce lightning storms are common toward the beginning of the rainy season. 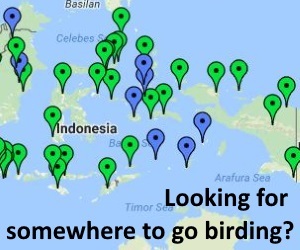 Signs were posted in 2008 asking villagers to refrain from shooting or capturing birds at Vila Botani, which helps encourage the number and variety of birds. Other signs ask villagers not to take the grass, which is used at Vila Botani for making com­post and feeding our goats. Meanwhile, Vila Botani workers are planting trees in the arbo­retum as well as a hedge around the proper­ty. This helps protect the property from random intrusions. The vegetation is becoming denser and more exu­ber­ant by the year. Till now, Vila Botani has focused on improving the natural environment – a collection of local trees, for exam­ple, as well as an organic farm. The management does not offer an extensive program of “acti­vi­ties” – that is for each visiting group to decide for themselves. But the management does work with some partners (mitra) who are oriented towards providing activ­ities for visitors. These include the Nature School (Sekolah Alam) described elsewhere in this site. Although the road to Vila Botani lies through Kmp Tajurhalang in Desa Tajurhalang, Vila Botani itself lies in Desa Sukaharja, above Kmp Cijulang and Kmp Tapos. No kampongs lie above Vila Botani.